When Ford made the Streetka concept into reality it turned to piccolo pop princess Kylie Minogue to help shift the thing. Fourteen years later, Kylie is knocking on 50 and many a Streetka is knocking on heaven’s door. But find a good one and Pininfarina-crafted style doesn’t come much cheaper to buy. The chassis is so blunt it makes autonomous cars seem engaging to drive and the slew of coupe cabs that came after has dimmed the allure of its folding hardtop party piece, but this is still a very smart bit of kit wearing the right badge for under a grand. Supermini-size, saloon-car space and wild-west-saloon-bar decorum in the face of an obstinate Elk, the original A-class’s front-wheel drive, one-box MPV styling and clever sandwich platform was radical stuff from Benz. Too radical, in fact: the current A is a straight Golf rival and more successful. Criminally underappreciated Bauhaus supermini stayed faithful to the original AI2 concept and still looks fresh, but lack of knowledge to fix its aluminium structure and high spares prices means it’s tougher to keep on the road than a 7000bhp TVR with greased banana skins for tyres. Clock-back king J Mays’ retro rehash of the much loved Beetle was a breath of fresh air – but definitely not air-cooled – when it appeared as a concept in 1994. Fast forward 20 years and the metaphorical water in the dashboard vase is a stinky brown gloop, the flowers are mulch and banger Beetles are one-step away from the crusher. Authentic to the max, the Pluriel didn’t merely look almost exactly like the C3-Air show car, it even replicated typical show car build quality that ensures you could handle it like a first-edition Bible and bits would still dissolve on touch. 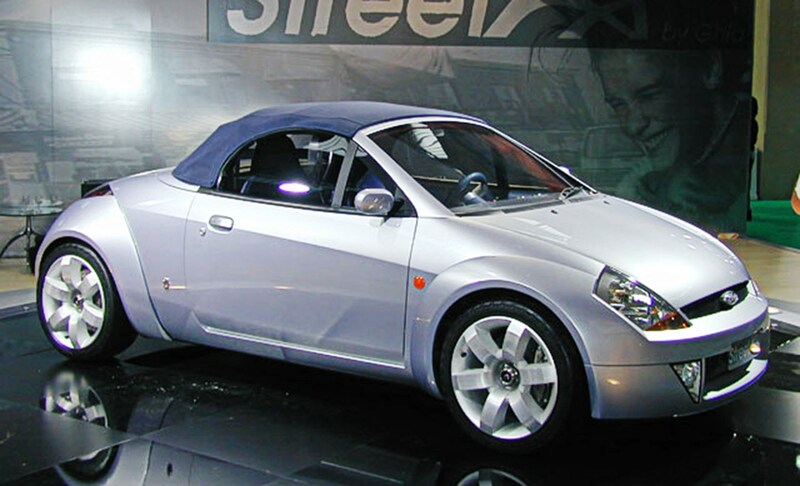 Morphed between hatch, coupe, cabrio and pick-up when new, and now does banger too. First to copy the SLK’s folding hardtop (though Peugeot happily pointed out they’d been there before, 60 years earlier) the CC was previewed by 1998’s Two-oh-Heart. A press of a button folded the roof neatly into the luggage bay, turning the supermini into a suntrap – and the boot into a glovebox. As the Pronto Cruiser concept, Chrysler’s melding of dog-rough Neon mechanicals and Prowler hot-rod style looked cool, a modern update of Dillinger-era tall-body toughness and cycle wings. That the PT Cruiser ended up looking like Miss Marple’s hat might explain why it’s now a song. Dry carpets, no rust, intact engine mounts? Banger Minis ain’t what they used to be, but they’re heading for disposable. They do go wrong. Watch for failed central locking, duff power-steering pumps and trim rattles. We’ve got a Peco exhaust and set of Weller 8-spokes ready for when they hit £300. Okay, so two and a half is steep to a bangerficionado and the original 2.5 Boxsters didn’t look or go as well as the original ’93 Boxster concept, but this is a mid-engined Porsche sports car for the price of a Tata Nano. Not worth repairing if it breaks; sell the rest to cover your costs and start again.